A lot has paid attention lately to one of the most endearing food item that the Americans left us during World War 2. Our love for burgers these days are just out of this world. Our palate has just become more adventurous, and we have become courageous in experimenting, getting all the different flavors and favorites in between two buns and the lack thereof. 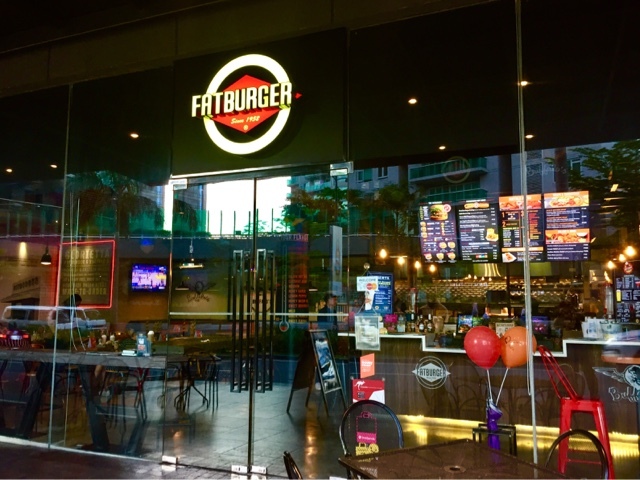 This one I ate at is in Glorietta 2 in Makati, have you heard of FATBURGER? 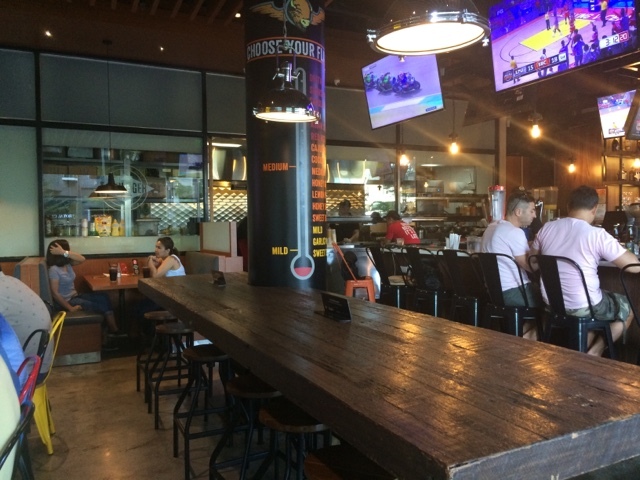 The place is cozy,it’s got ample amount of seating, some bunk chairs, and a bar that’s got milkshakes and burgers on it’s menu. Of course being a burger olympian I was so excited to try their biggest burger. I was watching my weight a bit so I don’t usually eat the bread, I’m glad they’ve got skinny versions of all these burgers which I’ll show you in a bit. Meet my friends first! This one is the ORIGINAL 1/4 pound Burger. 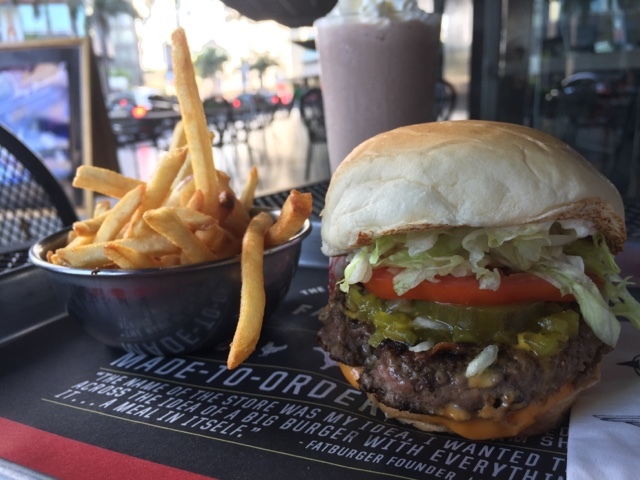 It’s got the right amount of meat, filling and tasty, plus the usual add ons mayo, lettuce, tomato, pickles, onions, relish, mustard, ketchup, or if you prefer to not have it, you can customize your burger. As I mentioned earlier, you can even opt other bun varieties or without it at all. If you wish to add premium things like Bacon, Fried Egg, Grilled Onions, Chili, Onion Rings, Mushrooms, they can do that on English Muffins too. If you’re not into beef, they havr Chicken Burger and Veggie Burger patties so you can still have your fix. Oh and no, they are not holding back on the fresh ingredients, as you can see on this DOUBLE Burger which is around 1/2 pound, it’s as if it’s bursting out already. People were drooling. The buns as we mentioned could be white, a lettuce wrap, a brioche bun, English Muffin, or the Gluten Free one. My burger of choice is the TRIPLE. 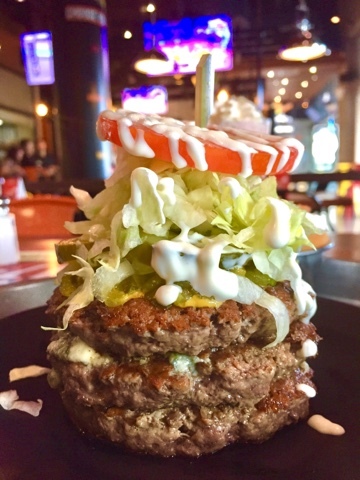 I asked them to have it on the SKINNY version so you can do without the buns and have all the juicy meat goodness of every burger patty served to you. It was good while it lasted. The FAT BAR serves cocktails, local and imported beers, wine, whisky, bourbon, cognac and just about anything you can put your hands on after office hours. They are open mall hours so that can be anytime of the day, you’re just gonna have to make the choice with your friends and family. 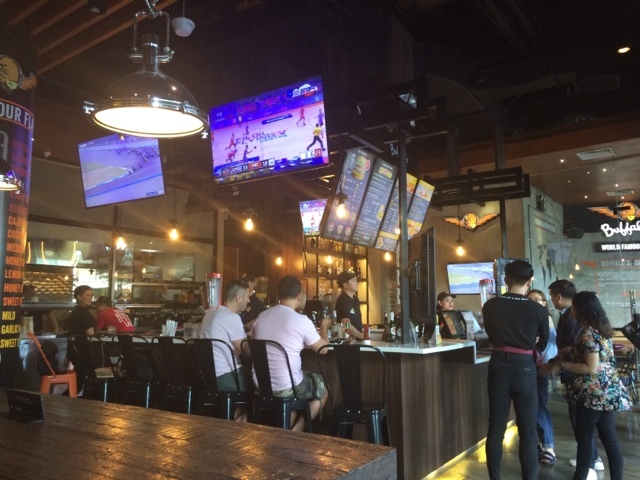 Oh and if that’s not enough, they’ve got good Buffalo wings since it’s like 2 restaurants in one joint. Ahhh the possibilities are endless, I’ll be back there for more burgers for sure. 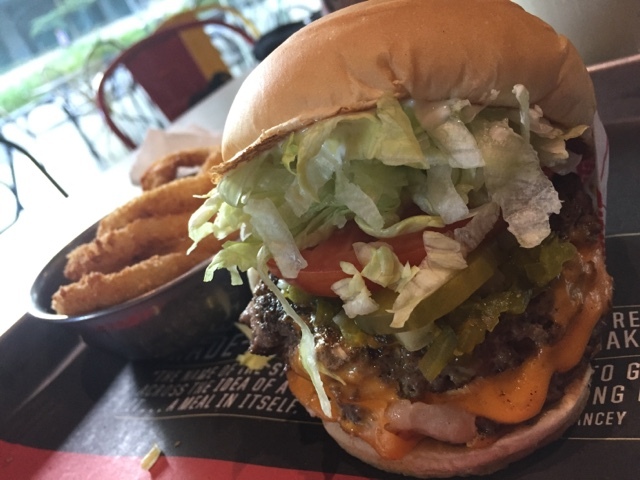 If you’re looking for a good burger fix, go and find one at FATBURGER. It’s good and not that expensive either, it’s just right. FATBURGER is just outside the Glorietta 2 entrance along Palm Drive, go rush there if you want one now.